If you read here and here you’ll learn what Niagara In Jars is. In the most basic sense, it’s just a canning swap. 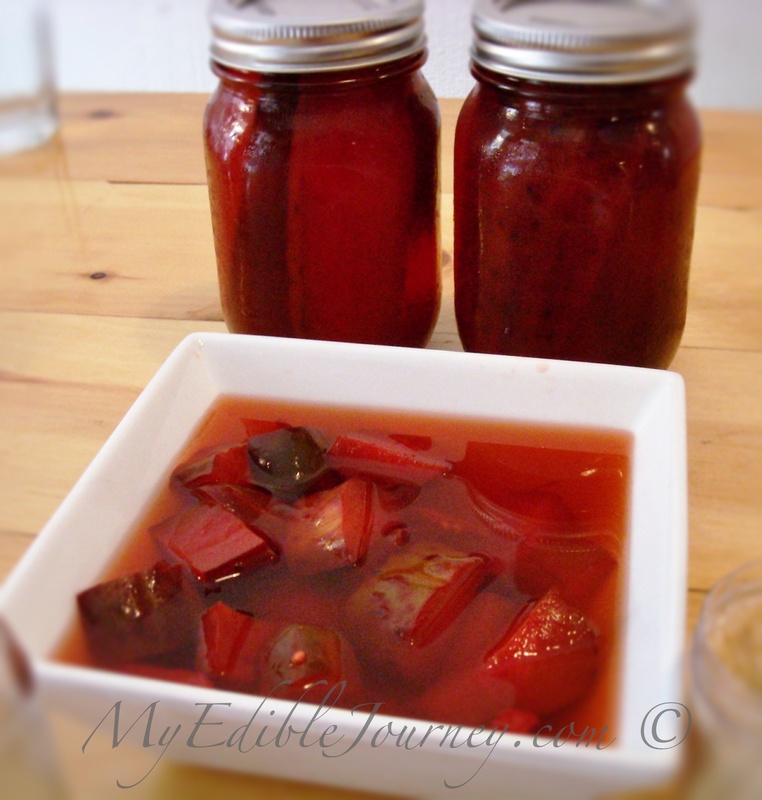 If you don’t know much about canning and preserving, then that may not seem like much. Make some jam to give away, take some salsa home… But if you know what goes into putting up the season’s harvest, and the heart of someone who wants to preserve local foods for when they’re not in season, you can appreciate what it is to give away some of what you’ve worked hard to keep. And what it is to take home the efforts of another who has worked equally hard to preserve what they value from the harvest. There’s a love and a passion there. It’s community, taken to another level. Just a little of what was left as the afternoon approached its end. 161 items were shared in all. We were mostly strangers. Some of us found our way via Twitter. Some came after having read about the event in a local paper. Young and old, men and women gathered at a local vegan bakery (where the pumpkin cheesecake was among the best I’ve had, ever!) to share what we’d made. There was such a great variety. Salsas, chili sauces, jams, jellies, pickles, Koolickles (more on them in a bit), fresh and dried herbs… Sweet or savoury, hot or sour, it was all there. For each item brought, the participant received a ticket to take something else home. Mason jars sat in front of each person’s offerings, ready to receive a ticket in exchange for a treat. 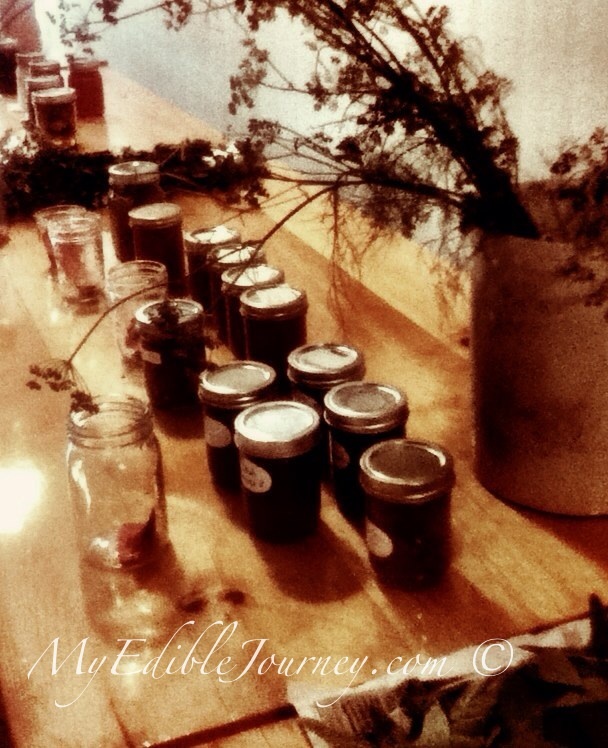 My own jars were filled with a variety of items. Twelve in all, with my pickled jalapenos, sour dills, dilled carrots,a few jars of tomato jam (recipe courtesy of Marisa at Food In Jars, which I tweaked with a little smoked paprika), and a single jar of blueberry maple walnut compote. That was snatched up within moments of my arrival. Koolickles, including samples for the brave. I don’t even remember exactly how it started now, but Twitter is to blame for these appearing on the canning swap table. It may have even been a dare. But in the end, the absolutely lovely Chelsey rose to the challenge and created tropical punch Koolickles with a kick, courtesy of her own hot peppers. How were they? Well when you consider that the first image that appears on Google when you search resembles a day-glo adult novelty, you’ll understand the apprehension we had in trying them. But honestly, they’re not bad. Sweet, hot, tangy, still retaining their pickle personality… I believe they’d be a great addition to a relish tray, and would probably go down a treat with a cold beer. Interested yet? 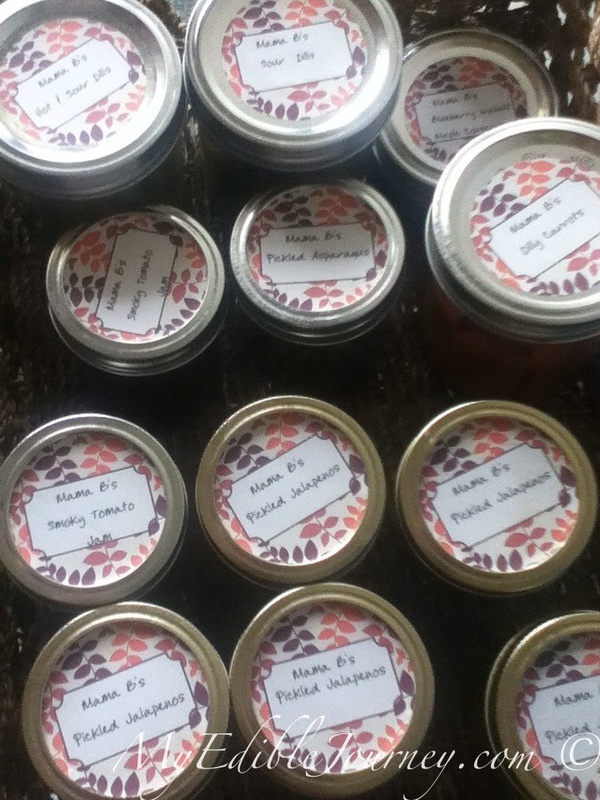 While I’m sure there is work involved (Tiffany makes it seem effortless), putting together a canning swap in your community is not only doable, but very worthwhile. I encourage you to talk with others and get them on board. Not only is canning rather trendy right now, it’s a valuable skill that we need to share. If you have any questions, let me know. I’d love to help fan a spark of local food passion into a flame in someone else. Oh, and what did I bring home? A lot. Crab apple Jelly, Coronation grape jelly, a delicious chili sauce, some fabulous hot sauce, pickled cherries (been wanting to make them for a long time), dried fennel, wine jelly, and an interesting green tomato and onion relish. Can’t wait to try everything. I’m already thinking about possible treats to make for the next canning swap!